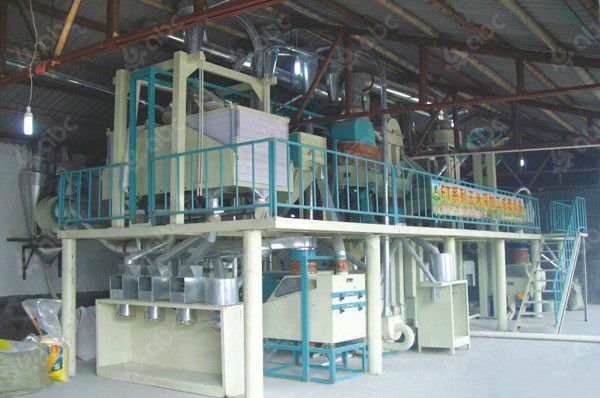 Mini maize milling plant (corn milling plant) is composed by cleaning equipment, peeling & degerming equipment, and maize flour equipment or maize grit making equipment. This unit adopts advanced peeling and degerming technology that can extract pure endosperm. 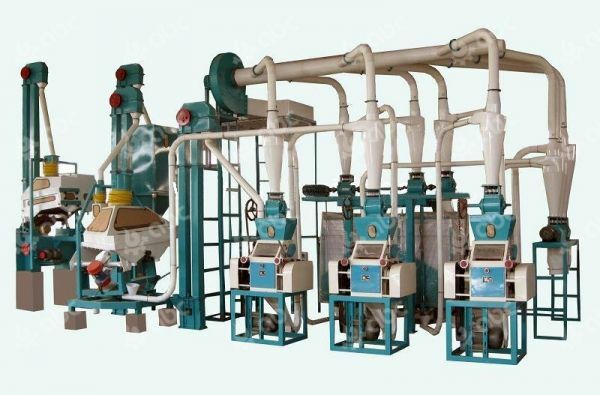 By the grinding of maize milling machine, and the grading of bolting equipment, this unit can make high quality maize (corn) grits and maize flour. The whole unit adopts pneumatic conveying to save labor and intensity. Its compact structure and small size make it easy to install and handle. 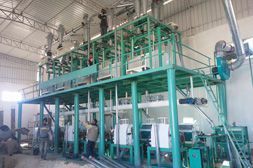 The mini maize milling plant also consumes low power and has high efficiency. 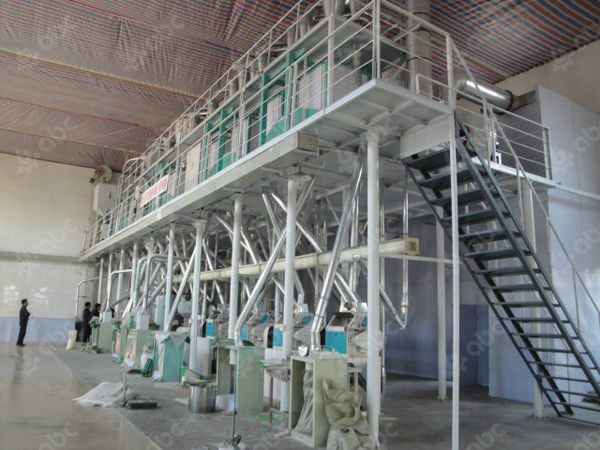 The 30-100tpd maize milling plant adopts steel structure. 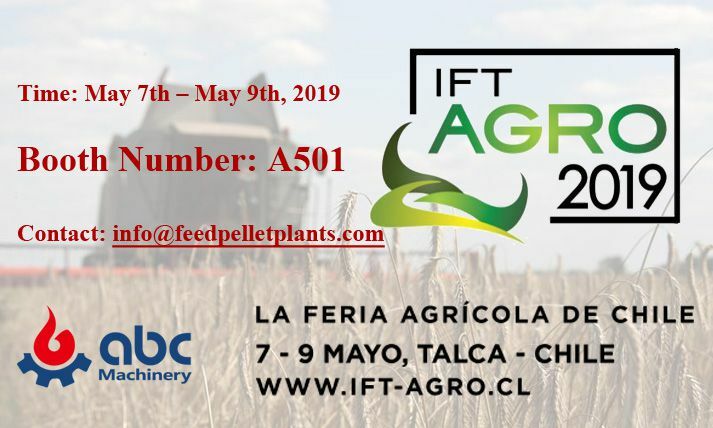 It also includes cleaning equipment, peeling & degerming equipment, and maize flour equipment or maize grits machinery. The steel structure can save covering area and looks good. It adopts advanced peeling and degerming technology to extract pure endosperm. It also produces high quality maize grits and maize flour. 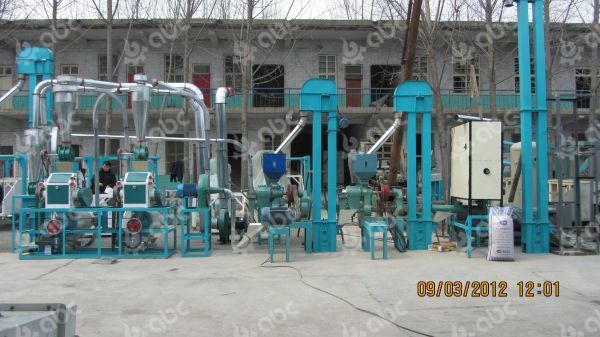 If equipped with germ extraction machine, this unit can also extract pure maize germ for making maize germ oil. This set of milling plant also saves power but has high output rate, so that your production cost is saved. 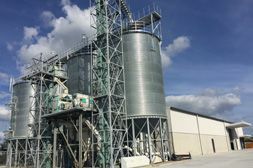 Under the power of high pressure fan, maize is conveyed into the combined sieving and stoning machine, where both big and small impurities and stones are eliminated. Then maize is fed into the peeling machine for removing clod, dust or other impurities. After that, the maize enters crusher and is grinded into big particles to prepare for making flour. After crushing, maize particles are elevated and fed into the stock bin of maize flour milling machine. Then they are blown into the maize milling machine. After grinding, maize flour is sifted: those under the sieve will be packed, while those above the sieve will go back to the stock bin for second time grinding.